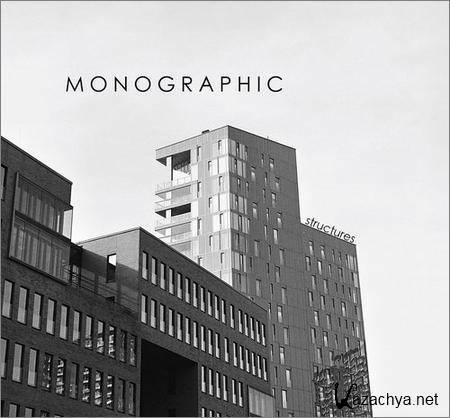 Monographic - Structures (2018) » KaZachya.net: Информационно-развлекательный портал. Formed in 2014 by Bjorn Ullmann (vocals/Guitar) and Ric Freymann (Guitar), Monographic are a Post-Punk band from Hamburg, Germany. The sound of the band evolved with some elements from Neo-Psychedelic with an aggressive punk beat. The band kept playing through different scenes in Germany, leading to the release of their self titled album and followed by a tour through Europe in 2016; acquiring good reception among already fans of their live set. For their second album and after some lineup changes, the band borrowed some elements from Shoegaze and Synth-Pop, creating a more mature record which not only keeps the spirit of Post-Punk, but includes different musical elements making the sound one of their own, inviting to discover new details every listen.